Kyle Bukhari is a dynamic performance artist and lecturer currently at Columbia University and Sara Lawrence College. He will present a performance commenting on two short art films by choreographer YVONNE RAINER and sculptor RICHARD SERRA. Friday Oct 14, 6:30 PM at SCDT Studios, 25 Main Street 4th floor, Northampton. For more information call 413 695 1799. FREE, Arts Night Out event. Bukhari will offer a workshop for all levels of dancers on Saturday Oct 15 from 4-6 as well. Bukhari will present a performative lecture based on two experimental films from the 1960s: Yvonne Rainer’s Hand Movie (1966) and Richard Serra’s Hand Catching Lead (1968). His performance talk investigates the notion of movement of and between media—looking at Yvonne Rainer’s move from the medium of dance, and Richard Serra’s move from the medium of sculpture, into the medium of film. Bukhari hails from New York City, currently working with renowned choreographers Yanira Castro and Jodi Melnik and teaching at Sarah Lawrence College. Bukhari holds a BA Anthropology & Aesthetics, Columbia University, MA Dance Studies, University of Roehampton, London. 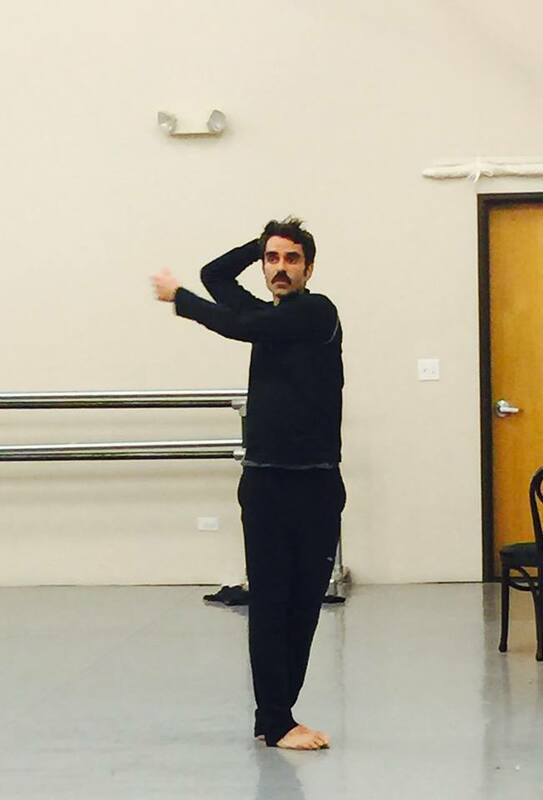 He danced with the Joffrey Ballet, New York, and the Zurich Ballet, Switzerland. His work has been shown at the Whitney Museum in the Berlin Sun Theater with anthropologist Michael Taussig (2013) and at the Museum of the City of New York (2014). Has taught at Barnard College, Pratt University, the Joffrey Ballet School, Zurich Dance Theatre School and Tanzhaus Zurich. Currently on the faculty of Sarah Lawrence College. He is a US-UK Fulbright Fellow in Dance in London, United Kingdom (2013-14). Bukhari’s current research focuses on Dance, Philosophy and Intermediality in works of artists such as Yvonne Rainer, Richard Serra, Michael Clark and Charles Atlas.